Anti-coagulation Clinic - we are a local hub offering clinics all day Wednesday and Thursday for patients on anti-coagulation treatment. Patients are seen by an practice nurse who will carry out finger prick testing and review the dose of patient warfarin treatment. Patients are reminded to bring their yellow anticoagulation book with them to every appointment at the clinic. For appointments or enquiries patients are advised to contact the helpline on 01484 355014. Antenatal Care - routine antenatal check-ups by our qualified midwife on Tuesday 13:30 – 15:30. Child Welfare - Monday 13:30 – 15:00. There is no longer health visitor support for this session. If your child is due an immunisation you will be contacted by post from Princess Royal informing you to make an appointment. 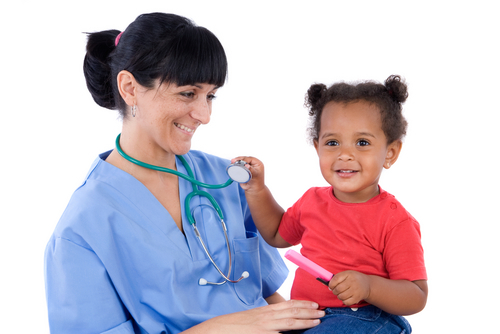 If your child needs to see the GP during the clinic an appointment is required which needs to be booked in advance. Monday clinic - GP and vaccinations are available by appointment only. Parent & Baby Support Group - Please note that the parent and baby support services are no longer run from the health centre, and have now moved to the Kirkburton Library. Infant Massage - by appointment only with nursery nurse for babies under 6 months (1 hour per week for 4 weeks). For more information please call 01484 605634. Vaccinations - routine and travel vaccinations (including malaria advice) for all ages are available during surgery times by appointment with our practice nurses. We are a registered Yellow Fever centre. We also run a flu jab clinic in late September; ask at reception for further information. Asthma & COPD - regular check-ups and advice from practice nurses on lifestyle, inhaler techniques and medication are available during surgery time by appointment. Diabetic Clinic - regular 6 monthly check-ups and advice from a practice nurse and annually from a GP on lifestyle, monitoring and medication. Wednesday morning 08:40am-11:10 and afternoon 13:30 – 16:00. Cardiovascular Clinic - annual reviews of patients with coronary heart disease and/or stroke by practice nurses are available during surgery time by appointment. Minor Surgery Clinic - minor surgery is carried out by several of the GP's and practice nurse. Moles and other skin lesions can be removed under local anaesthetic after consultation with a GP. We also provide anti-inflammatory injections for painful joints (where appropriate). Available during surgery time by appointment. Clinic on Thursday 2:00pm-3:30pm. 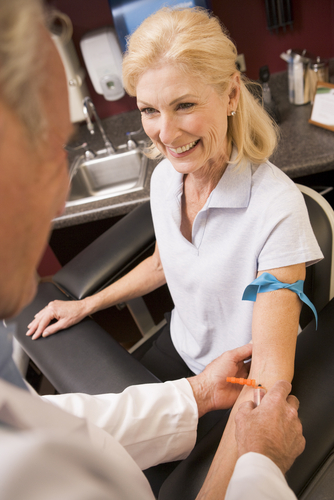 Phlebotomy Clinic - phlebotomy is a service offered by the practice for patients who require a blood test. This could be requested by your GP, practice nurse or midwife. To make an appointment contact the staff at reception. Sexual Health Clinic - clinics are 30 minute appointments and held on a Monday morning (usually). The clinics are for males and females requiring sexual health screening, chlamydia screening, advice on sexual health problems and contraception. The clinic is open to all ages. BMI outreach Clinics - we are proud to announce a new NHS service that is being run form the health centre: Outreach clinics for patients who need to see the services of a Surgical Specialist, run by the BMI hospital as an alternative to travelling into Huddersfield to see the Specialist. 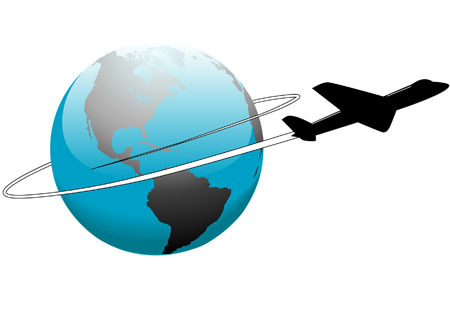 It is important to make this initial appointment as early as possible - at least 6 weeks before you travel. These vaccines have to be ordered as they are not a stock vaccine. You may need several appointments if a number of vaccinations are required. Please note that we need at least 72 hours notice in order to complete any private forms or request of private letters etc. Please also note that payment for such services is required in advance of completion and should be paid on request. Why do GPs charge fees? Isn't the NHS supposed to be free? The NHS provides most health care to most people free of charge, but there are exceptions, for example prescriptions charges, and there are a number of other services for which fees are charged. This is because the service is not covered by the NHS, for example medical reports for insurance companies, claim forms for referral to private care and other letters and forms which require the GP to review the patients medical record. Surely the GP is paid anyway? GPs are not employed by the NHS. They are self-employed and have to cover their costs - staff, buildings, heating, lighting etc - in the same way as any small business. The NHS pays the doctor for specific NHS work but for non- NHS work the fee has to cover the GPs costs. I only need a GPs signature - what is the problem? When a GP signs a certificate or completes a report, it is a condition of remaining on the Medical Register that they only sign what they know to be true. Therefore, in order to complete even the most simplest of forms, the GP needs to check the patients entire medical record. 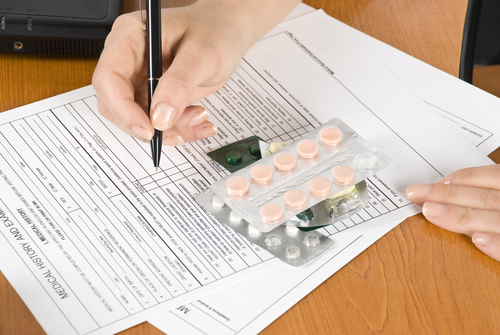 Carelessness or inaccurate reports can have serious consequences for the GP. Why do I need to pay up front? In the past we have completed reports and forms before payment has been made, but sadly there has been many occasions when the GP has completed the work but the payment has not been made. Therefore fees must be paid in advance at the time of request for the letter or form to be completed is made or when the appointment for the medical is booked. You may be aware that there are nationwide General Practice recruitment issues and that NHS funding to GP practices is reducing. In addition, patient demand is increasing and yet practice resource levels have barely changed. As a result, Kirkburton Health Centre has had to review the range of services offered by our Treatment Room. Patients are finding that there are longer waiting times to book an appointment for essential services such Long Term Condition reviews, ECG's, wound care and phlebotomy services. We have to prioritise our clinical services to ensure those most in need have the treatment required. Ear syringing is not funded, and as such our treatment room can no longer offer this service.